Massage involves working on muscles, other soft tissue and trigger points for pain. 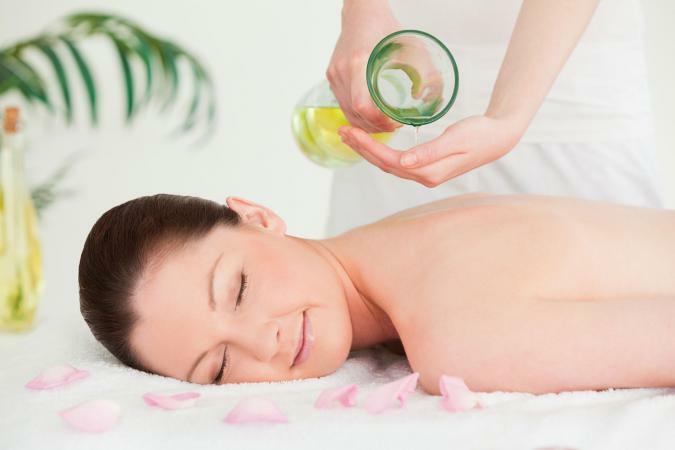 Massage oil lubricates the skin, making massage comfortable. Properties that make it easy to spread and remove, and its oiliness levels, are important to keep in mind. 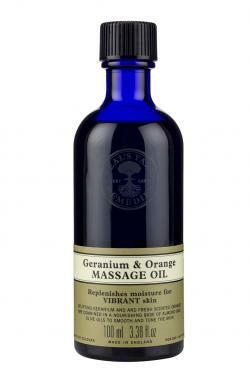 Essential oils can be used on their own or added to carriers to turn the massage into aromatherapy. Checking the ingredient list is prudent as not all carrier oils are equal. Cold pressed extra virgin oil is the purest and the best, while sunflower oil, which is heat processed, keeps good only for a year. Most of the carriers possess nourishing and moisturizing properties, such as those derived from grapeseed, almond, olive, sunflower or safflower, which is suitable for dry skin or to slow signs of aging like wrinkles. In addition, some of the common carriers have additional benefits; for example jojoba treats dermal problems such as rosacea, acne, psoriasis and sunburn, while grapeseed lessens the prominence of scars. 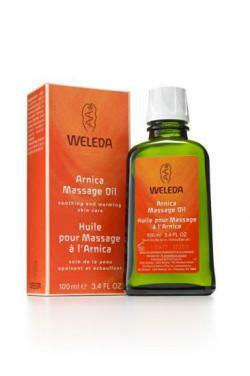 Weleda Arnica Massage Oil has been sold for 93 years. Weleda sources its ingredients from bio-dynamic farms or the wild, and is certified by Demeter (bio-dynamic and organic certifier), and NaTrue (a "not-for-profit organization of natural and organic cosmetic manufacturers"), and the massage oil (and many other products) are certified Kosher. The company is a signatory of the Campaign for Safe Cosmetics Pact. Weleda products have an impressive and long list of awards from Elle, Green Parent, Healthy Living, Pure Beauty, Mother and Baby, Good Housekeeping, and Natural Pharmacy in the last five years. Neal's Yard is based in United Kingdom with retail outlets in the U.S. Their products are certified by Soil Association Organic, the leading certifying agency in the UK recognized worldwide, and FairWild and Fair Trade. It is also certified by Cruelty Free International, PETA, and the Vegetarian Society. In 2016, the firm won the Best Organic Skincare brand from Stylist. The Guardian Sustainable Award in 2015 is another feather in the firm's cap, among numerous other accolades. Badger brand is certified by Cruelty Free International and the Gluten Free Certification Organization. Badger products have positive reviews in many magazines including Vogue, Organic Spa, Lifestyle, Natural Health, and Mother Earth Living. The company itself was included in the list of honorees for the 2015 B Corp Best for the World - Environment (listed as W.S. Badger Co., Inc.). 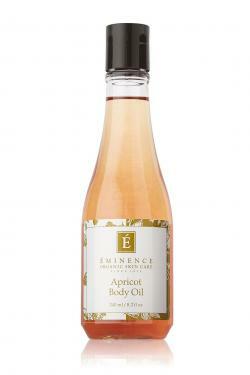 Éminence is a Hungarian firm more than 50 years old, that uses ingredients certified as organic and sustainable by USDA, Demeter, Organic Trade Association, and Leaping Bunny. In 2016 alone, Éminence has received good reviews in Vogue, Elle, Cosmopolitan, and Organic Spa. It won the Professional's Choice Favorite Skincare Line award from American Spa for the seventh consecutive year in 2015. 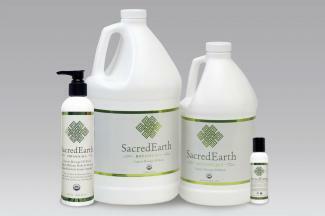 Sacred Earth Botanicals massage oil is suitable for people who are allergic or sensitive to perfume, and are looking for fragrance-free products. 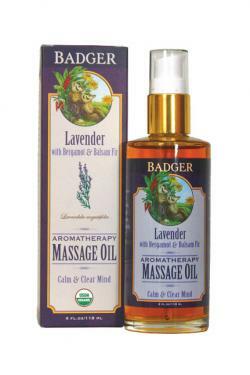 On the other hand, this can be used by massage professionals to create their own signature range of aromatherapy products or customize massage oils for their clients by adding essential oils. The 8-ounce bottle received overwhelmingly positive reviews from individual customers on Amazon, while the one gallon flask received similarly positive reviews from professionals. Individuals liked it as it is odorless due to health concerns, while professionals preferred this brand because it was non-greasy, light and consistent in quality and could be used for clients allergic to perfume or coconut oil. The Department of Health and Human Services (NCCIH) cautions people using anticoagulants against having massage, and recommends that pregnant women consult medical practitioners before having one. In addition, massaging wounds, tumors or fine skin should be avoided. Users need to research various benefits and effects of different combinations of oils and choose the product that best serves them. If the massage and oils are used for therapeutic purposes, it is advisable to use it as a supplement and address the root cause of problems with medical help.